1. The ARiNA bluetooth speaker by MUEMMA is both a speaker and a storage solution for the tiny things in your life, like your phone, keys, and wallet. 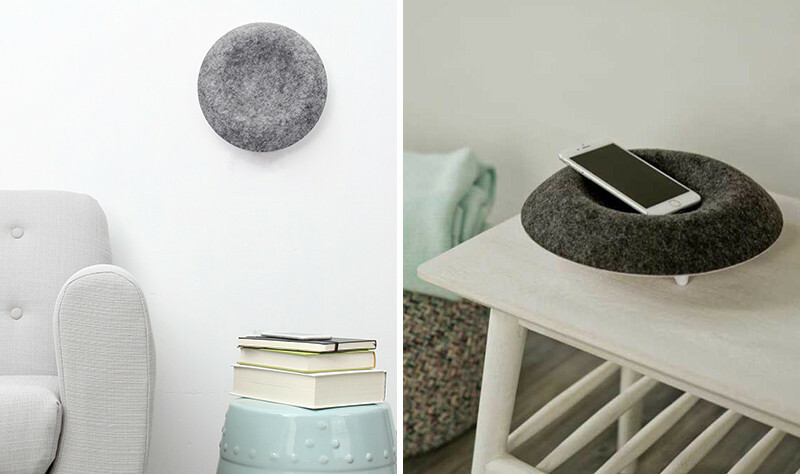 It also comes in many colors and can be hung on the wall to act as both a speaker and decoration that compliments your decor. 2. 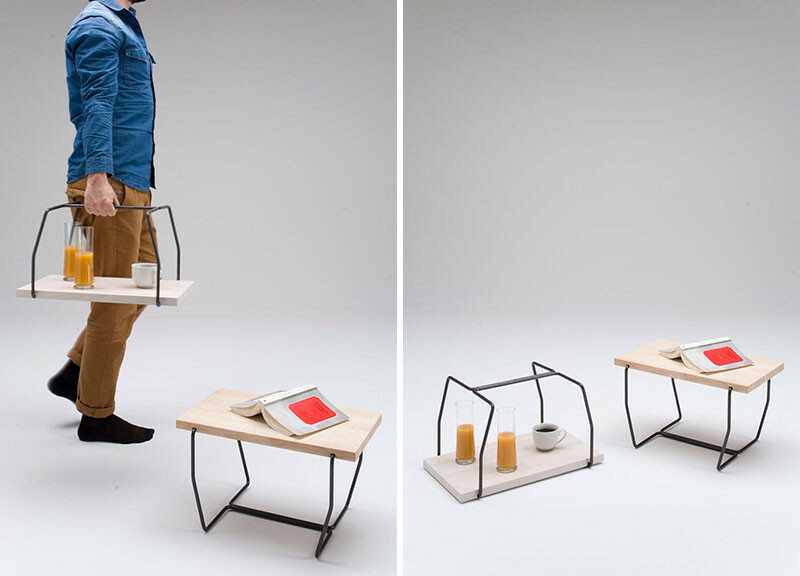 The Magazine Stable, designed by Brad Wray Workshop, is a triple whammy: a stool, a table, and a magazine holder all in one. 3. 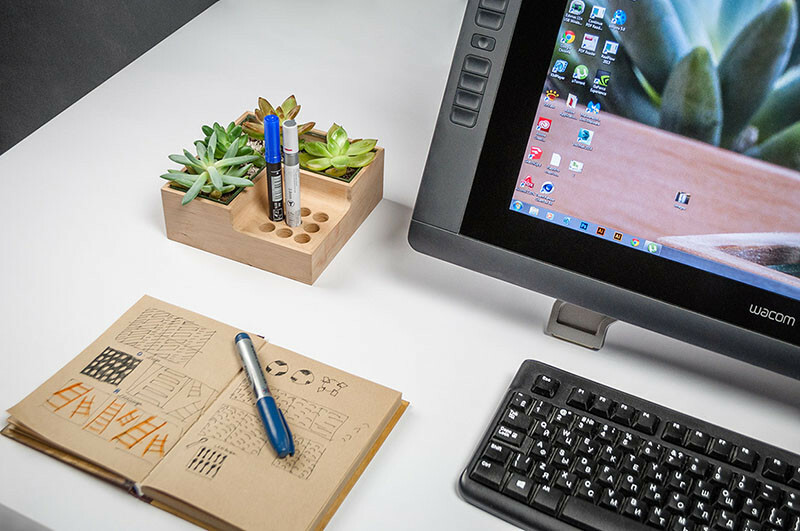 Add some greenery to your workspace with this all in one planter and pen holder, designed by Julia Kononenko. 4. 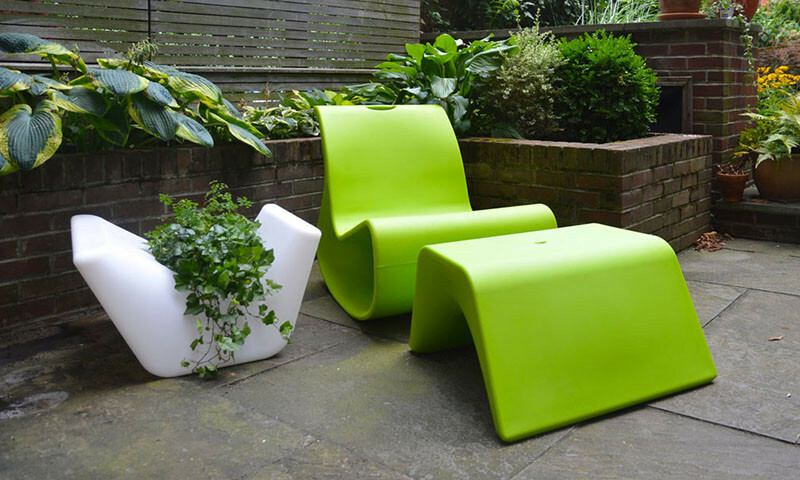 This foot stool, designed by Lisa Albin for iglooplay, can be flipped upside-down to become a planter. 5. 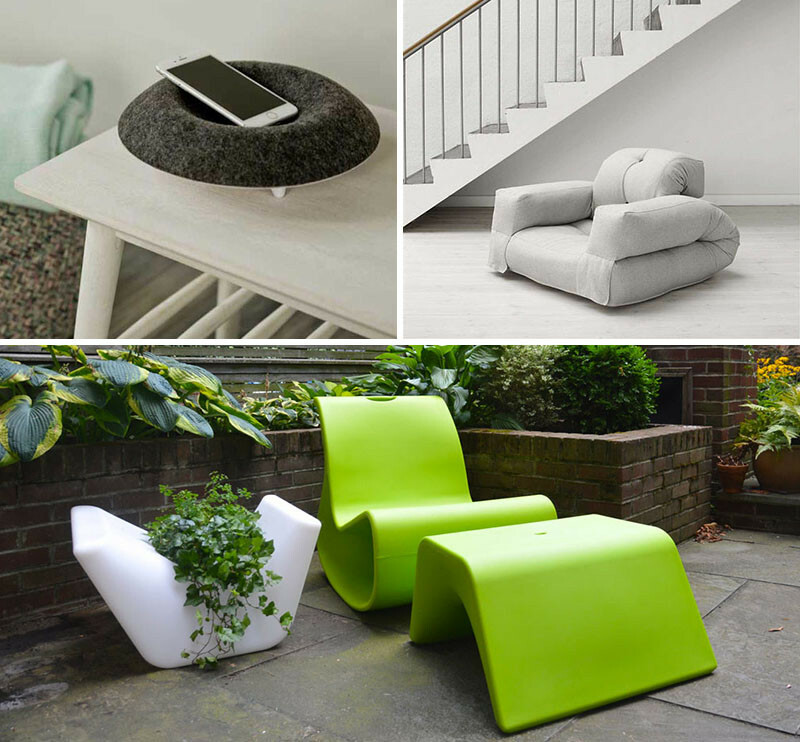 Never worry about making the trek from your favorite chair to your bed ever again with this ‘Baby Hippo’ foldable chair/mattress combo, from KARUP. 6. 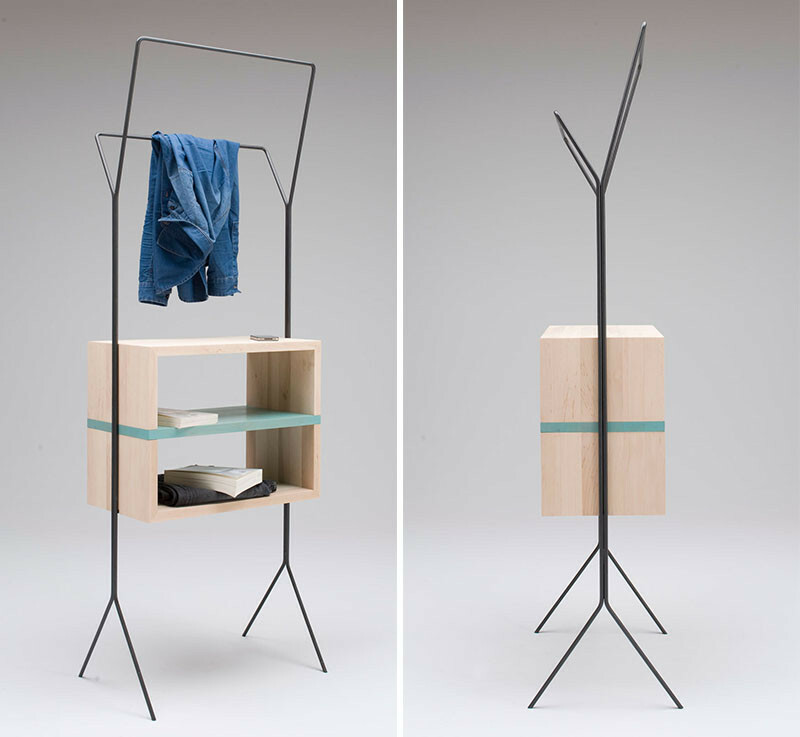 All of the pieces in this Maisonette Collection by Simone Simonelli, have two purposes: a coat stand/mini-wardrobe, a cart/table, and a basket/tray. 7. 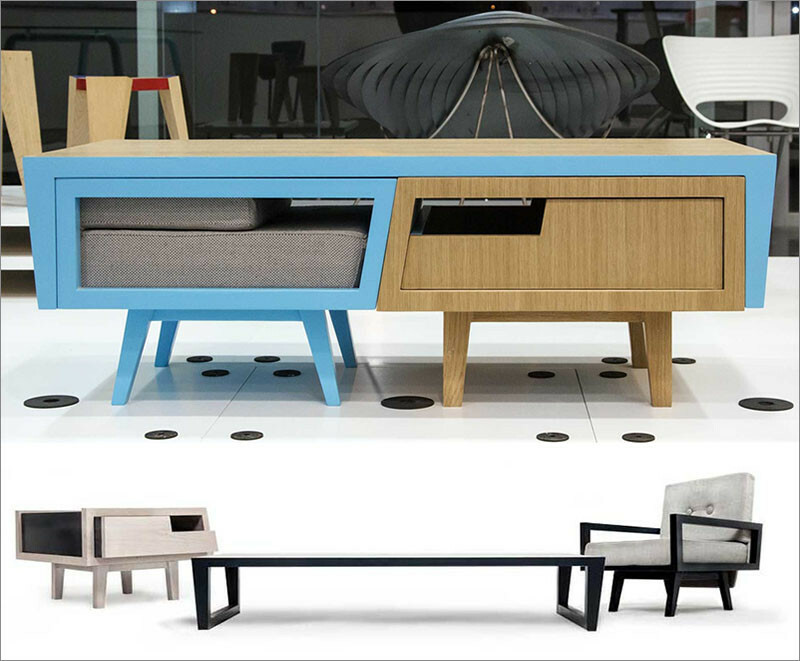 This three in one coffee table, designed by Daniel Pearlman, holds a chair and a side table that are stored inside the table until they’re needed. 8. 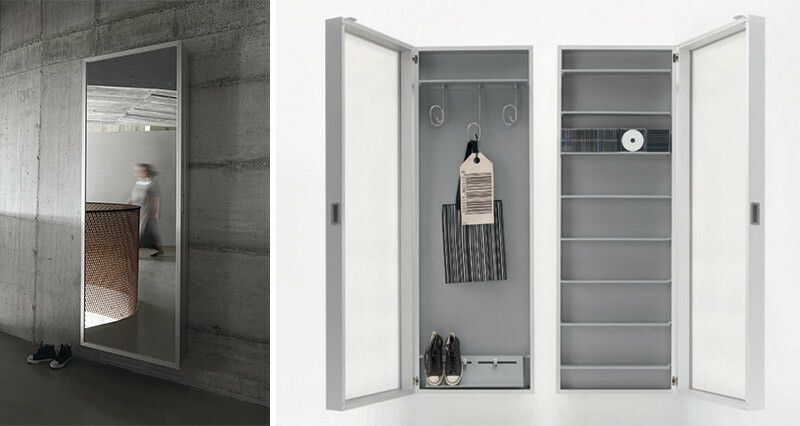 This full-length mirror designed by Luciano Bertoncini for Kristalia, can be opened up to expose hidden storage within. 9. 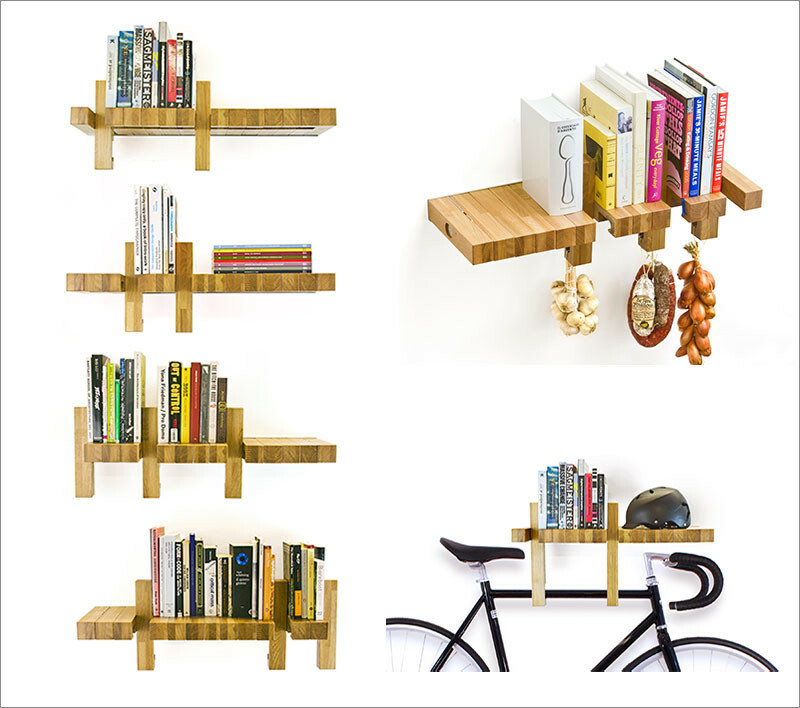 This bookshelf designed by andviceversa, is more than just a bookshelf. 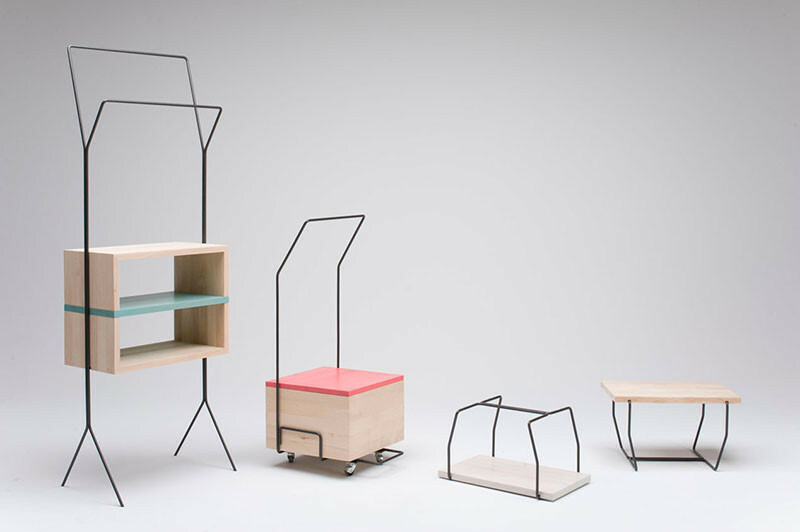 Each module that makes up this shelf is designed to rotate around a central axis so it can also be used to hang just about anything, like your keys or a bike. 10. 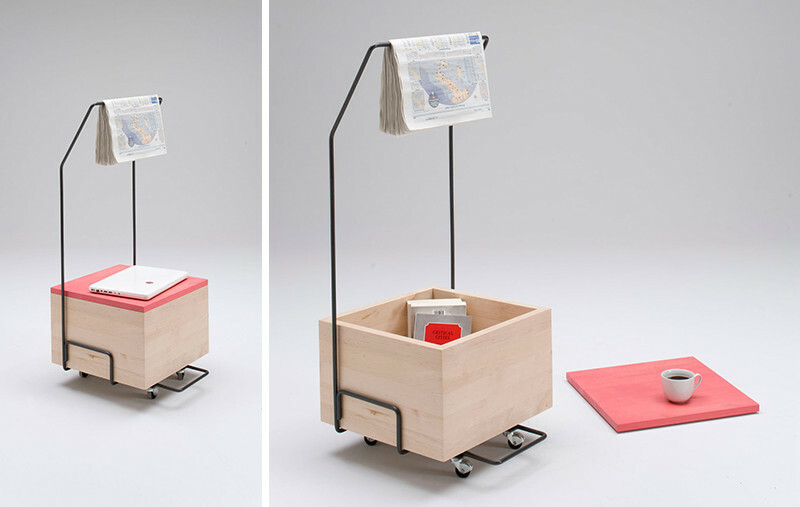 Never forget something at the office again with this transportable office, designed by Claudio Sibille, that holds all your work supplies, your desk, and your chair. 11. 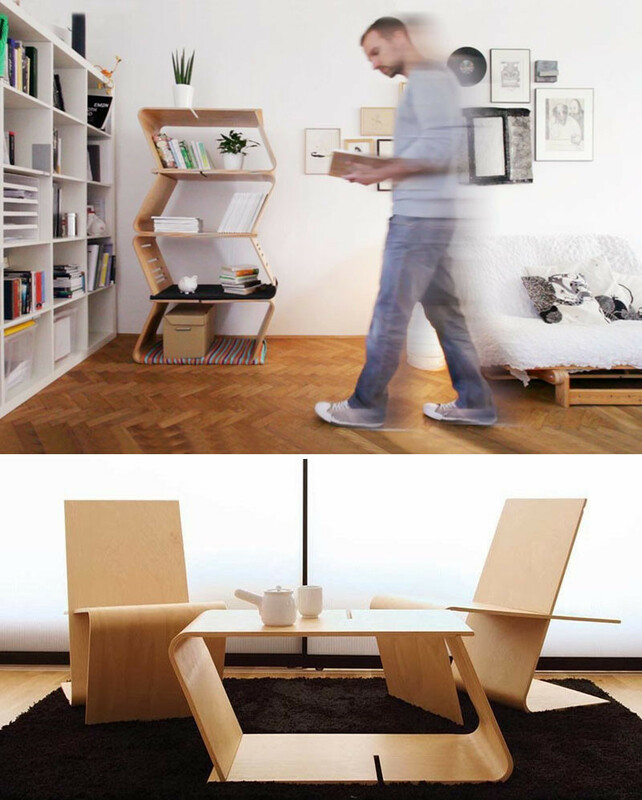 These two pieces of L-shaped wood, designed by Luka Locicnik, can be combined in various ways to serve a number of different purposes, like a shelf, coffee table, and chairs.